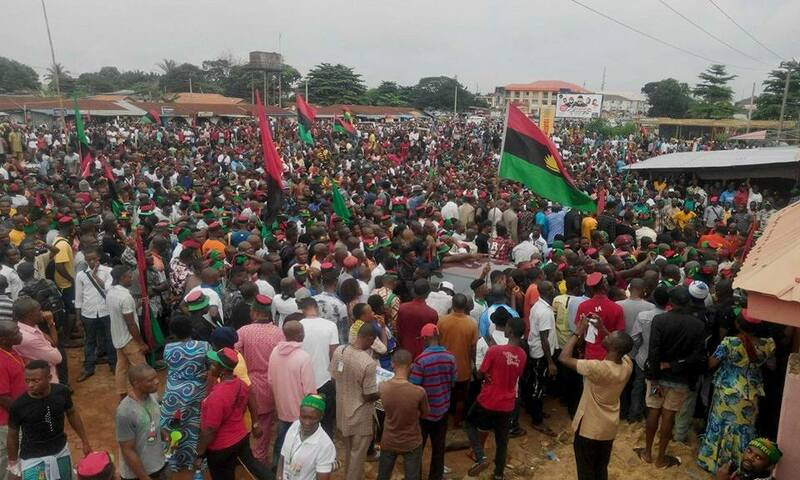 The Indigenous people of Biafra, IPOB has described the recent report of the All Progressives Congress, APC favoring the creation of state police as a bait to lure Nigerians into reelecting them in 2019. IPOB said Nigerians elected President Muhammadu Buhari because of his campaign for the restructuring of Nigeria, but he dumped it immediately he was elected. The group said selecting just a part of the restructuring agenda, which is the state police was not acceptable as it was a ploy to portray itself as a listening government. 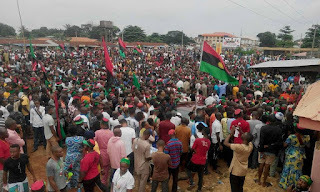 In a press release made available in Awka and signed by its publicity secretary, Emma Powerful, the group said even though it is not calling for the restructuring of Nigeria as its aim is total freedom for Biafra, it is obligated to warn Nigerians of the fraud the federal government was about to commit. “We are not interested in whatever structural reforms the government of Nigeria wishes to undertake because the key tenet of democracy which is public debate and vote on a crucial matter is conspicuously lacking in their approach and proposal for state police. “Our primary interest remains the full restoration of the sovereignty of the nation of Biafra and nothing more. Anything short of a referendum to ascertain the wishes of the people is dead on arrival for us. “Even the most unintelligent person knows that this state police proposal is a key component, if not the central plank, of report on restructuring by the APC committee appointed by the presidency. “It is a calculated fraud designed to buy time and confuse the gullible. It is merely an election gimmick calculated to deflect attention and convey the impression that this is a listening government which is a lie. “This APC regime promised restructuring before they were elected into power, today they are ardent opponents of restructuring. With this state police gimmick, once you elect them back in 2019 they will become critics of state police. “Only the gullible, foolish and unintelligent will be taken in by this charade. Had this regime been sincere about their intentions, they would have implemented the proposal immediately rather than merely issuing it as a report to be debated upon”.